To win over customers in the real estate business you have to charm and convince them of your project. 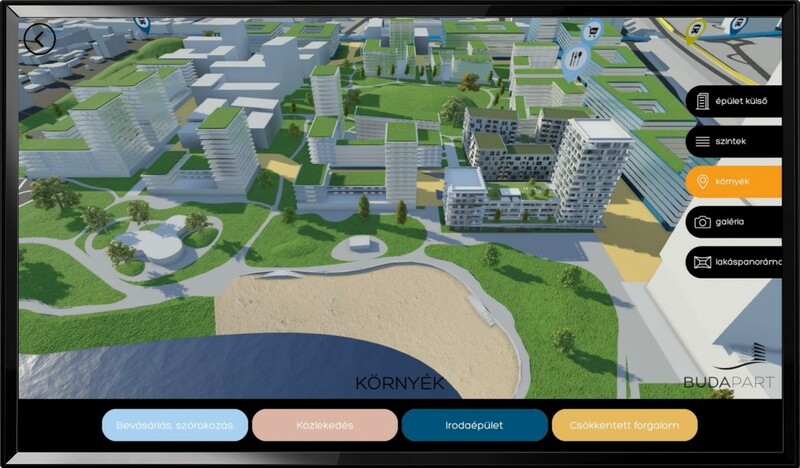 Abstracto, our custom made service package is doing right that – it visualizes your project using 3D modelling and the latest display, mobile- or VR technology. 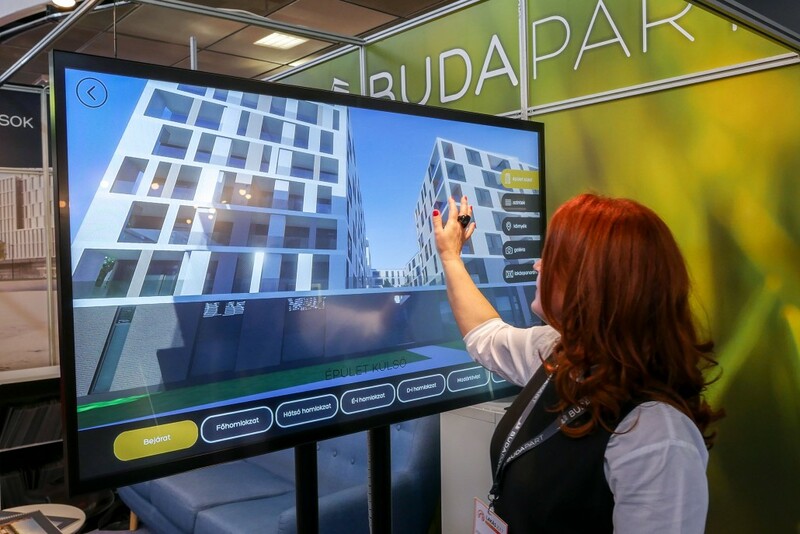 Our customer Budapart is conducting one of the biggest real estate project in Budapest. They transform an abandoned riverside area into stylish new residential and office building community. The location is widespread and diverse so it is hard for customers to imagine the final and complete outlook. 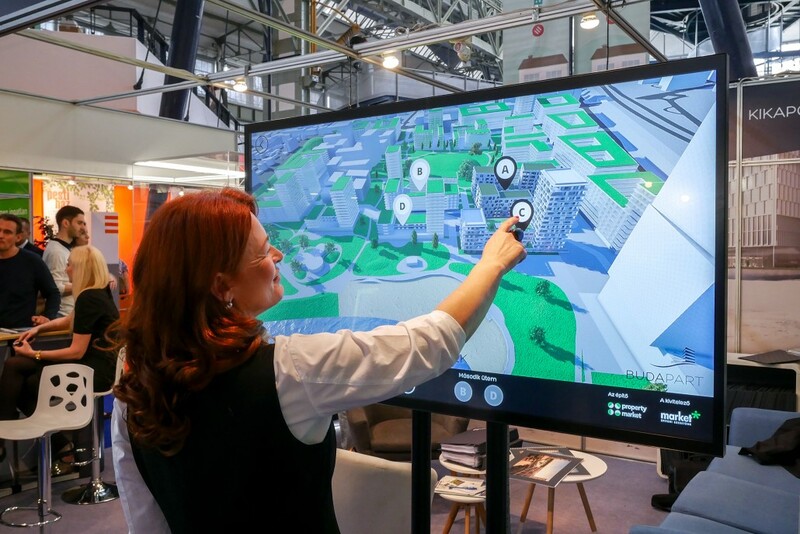 Abstracto’s Touchscreen solution helps to solve this problem by not only recreating the lifelike 3D replica of the buildings, but the surrounding area as well. 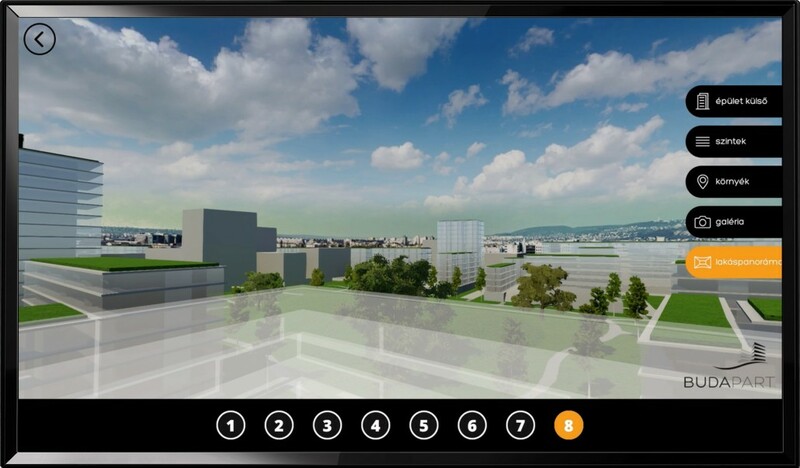 Users can discover every corners of the future buildings, enjoy virtual fly-in tours, and get to know the environment alike. 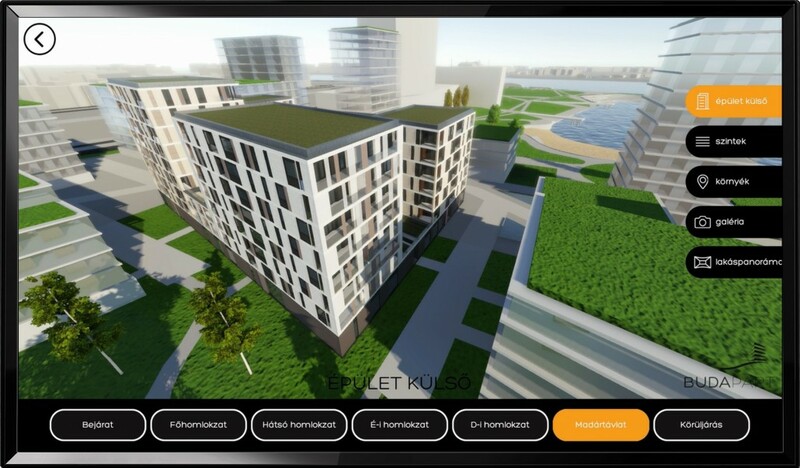 Customers can choose their future homes, check the panorama from their future balcony, and immediately feel at home. 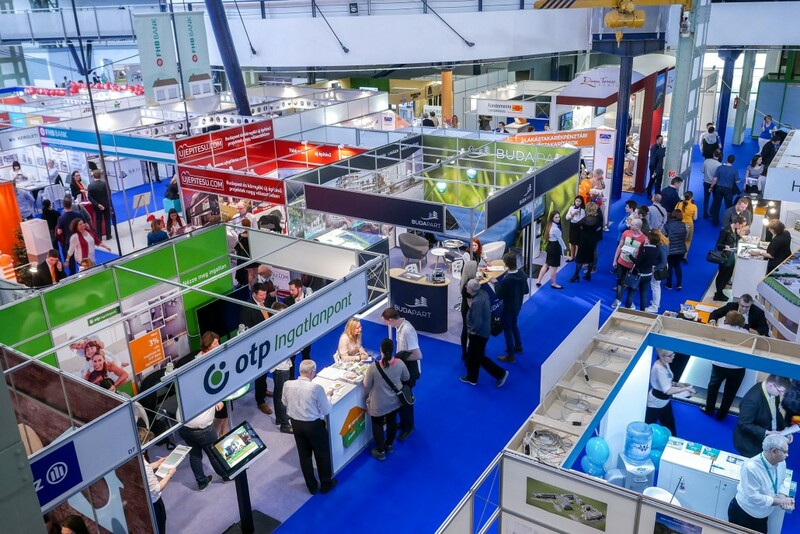 The 3D models are mixed with 360° panoramic pictures, so everything is even more lifelike and credible. Soon it will be the ultimate selling tool in real estate business leaving old paper-based selling obsolete.